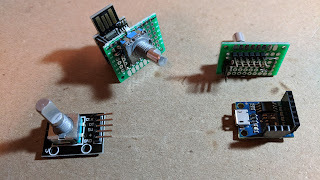 Rotary encoder shields were prototyped for two different versions of Digispark clones. 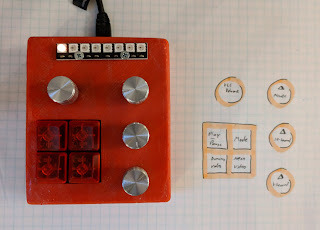 One version, a copy of the original, used part of the board as a USB plug. The second version had a micro USB socket. Each had a different footprint. 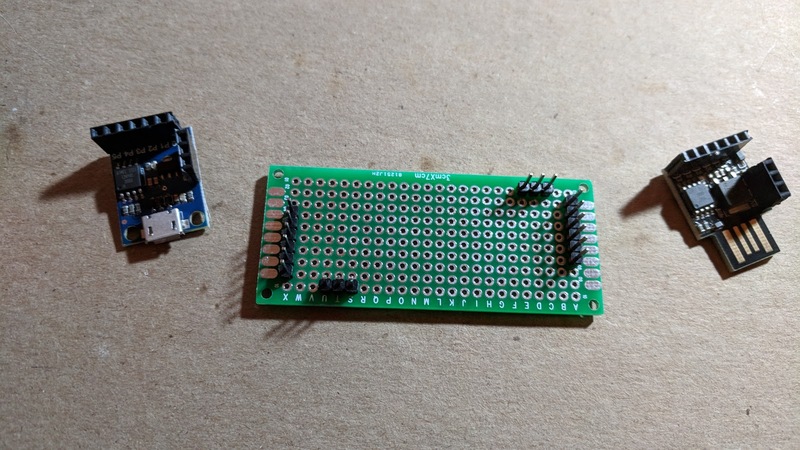 Headers were added to each controller board. Before the encoders were soldered in place, the narrow prototype boards were scored and broken to a suitable size. 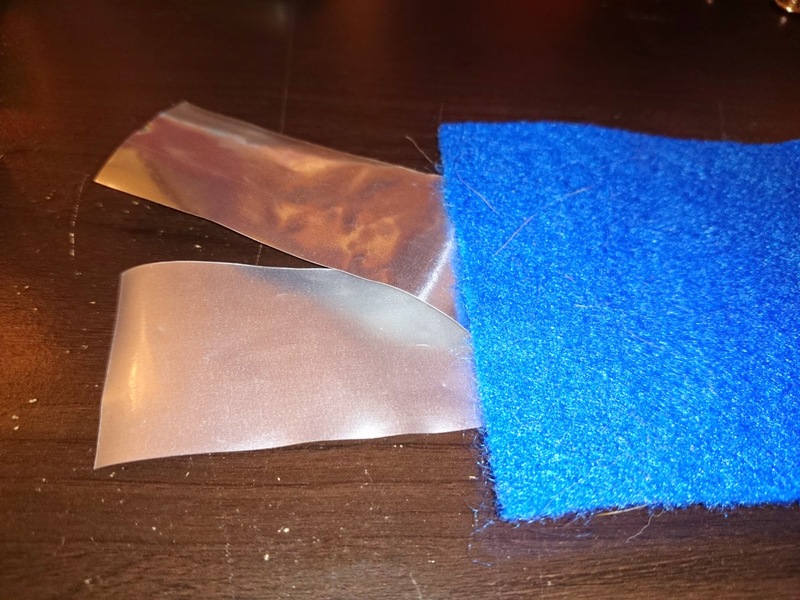 The edges were abraded to stray particles and rough edges. Also shown on the left is a commercial breakout board for a rotary encoder. 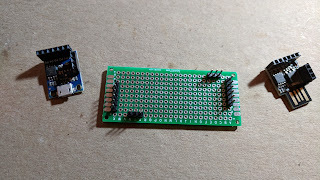 This could be used for the prototyping stage and the circuit may eventually match the commercial board but the pins would not match correctly for a finished prototype.